Your profile or bio is more important than you may think. Often new users look at it before they browse your photos. Be balanced with how much information you put, but don't neglect it. If you are a business add your website, hours, address and any other pertinent information that users will inevitably ask. There are differing opinions whether to use a logo or a picture of yourself as the profile picture. I personally think it depends on your logo, and if it's clean and clear enough to stand out in the circle. If not, a clean head shot will do the trick. My profile is a headshot I took with an emoji mask on it for fun, but for me it ended up being something people will recognize immediately so I've stuck with it. If you are a blogger or use it for some sort of creative outlet, give the user an overview of what they can expect from the account. Use emojis to add some fun, but leave the hashtags out, they do not work in a profile. My biggest pet peeve is when bloggers or businesses have an event that they want you to attend or buy tickets to, and they copy a link into a comment on a post THAT NO ONE CAN CLICK ON. No one can copy and paste that link, and no one is going to sit there and type it all out into their browser. Help people (and yourself out) and change the link in your bio to the event link. You are spending time posting about an event you want people to attend and making them work too hard for what could be an easy click. Be like my ladies over at Paper Goat Post and make signing up for an event a piece of cake. Use your links wisely! While you are running your small business you might not have enough time or manpower to crank out enough content each month, so what do you do? UGC (User Generated Content) is your best bet. Tons of instagrammers are taking amazing content for you so it's important to pay attention to the pictures you get tagged in. Find the best of the best that has a look that compliments your feed and share it and tag the creator. If you are a blogger or someone who takes their creative outlet and plugs it into Instagram posts UCG could be big for you. Those aforementioned businesses are going to repost your content if it's good enough. Play your cards right and you'll get exposed to a whole new following that just might like your feed and choose to follow it. If you are taking high quality, shareable photos, it's your job to do the research and find accounts with large followings that are likely to repost your image and tag them (in moderation of course). I was pretty pumped when Saveur Magazine's account, that has half a million followers, re-posted my photo of a beautiful cruffin. Tagging accounts might seem fruitless when you don't get any reposts for awhile, but it's well worth a few extra tags just in case. Have you ever seen an account with tens of thousands of followers and thought how in the heck did that happen? 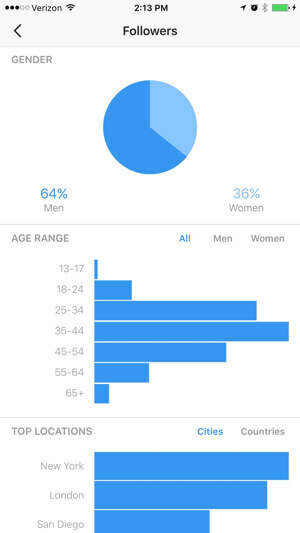 Instagram periodically chooses accounts as "suggested users" and those accounts see their followers sky rocket sometimes by 20 to 30k. It seems like winning the instagram lottery, and many people desperately google how to get chosen by the mighty IG overlords. The truth behind those numbers can be deceiving. Many of those followers are what we call “ghost followers” that don’t really use the platform. That is why you might see an account with a high number of followers but their engagement is really low. Does it make sense that someone with 80K followers only has 10 comments on a picture? Mathematically that is a pretty sad statistic, so don’t get down in the dumps when you see an account seemingly thriving. These accounts also end up losing hundreds sometimes thousands of followers consistently for a period of time, so their numbers drastically end up dropping. Things aren’t always what they seem. It’s much better to have real followers than robots or to grow your following organically over time. Most of us follow hundreds of Instagram accounts, and algorithms are going to make it challenging to reach a high percentage of the people that follow us. Take note of the best times of day to post a picture to your feed. An instagram photo has a short shelf life. After about 4 hours it will get buried in followers’ feeds. If you don't have access to analytics because you don't have a business account, use trial by error and monitor engagement highs and lows when you post to your feed. Tools that I mentioned before like UNUM give you a guideline for the best time to post based on past activity. You may have thought you had a great photo to share and got pretty bummed when it “bombed”. 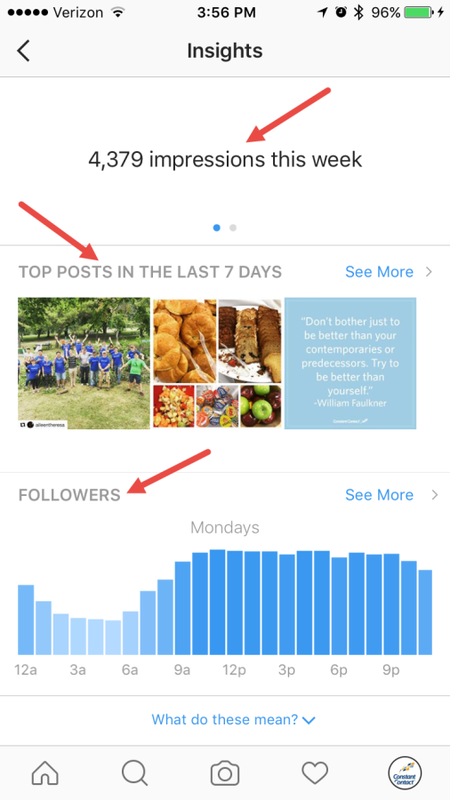 Instagram algorithms are against you, so it’s up to you to pinpoint the optimum time for posting is. Even then, it’s not exactly a sure thing. If you change your Instgram profile to a business account rather than a personal account it will give you access to impressions, reach, engagement and demographic information. If you don’t know what the difference between impressions and reach is (it tells you right under the data), but impression is how many times your post has been seen. Reach is the number is unique accounts that have seen it. So if you instaStalk someone and keep looking at the same photo over and over again you are raising their impressions, but not their reach. What can you do with this data? It’s basically a way to gauge what is working and what is missing the mark with your followers. Analyzing past likes and comments and if people are actually looking at your post and choosing not to engage can be helpful as you continue to create you content. If you think Instagram is going to be the cure all for what you are trying to accomplish, you are sorely mistaken. It’s one of many marketing tools that can prove useful, but can also feel overwhelming if you put too much emphasis on it solely. Your best bet is to not take it too seriously and get caught up thinking it's a popularity contest, always comparing yourself with other people's numbers or finding yourself copying what looks successful for some.